Buttery Sweet Dough Flavor - has the rich taste of creamery butter combined with a hint of citrus and vanilla that will give your homemade sweet breads, pastries and butter cream frostings an irresistible flavor. 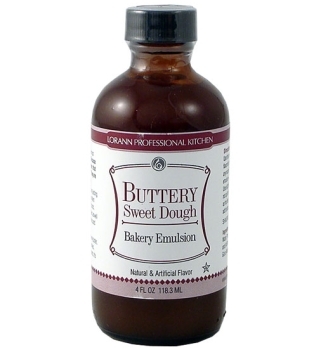 Buttery Sweet Dough will be the "secret ingredient" in your baked goods & frostings! 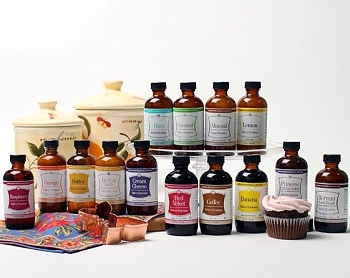 In your recipes calling for vanilla extract, try substituting Buttery Sweet Dough for a flavor update.